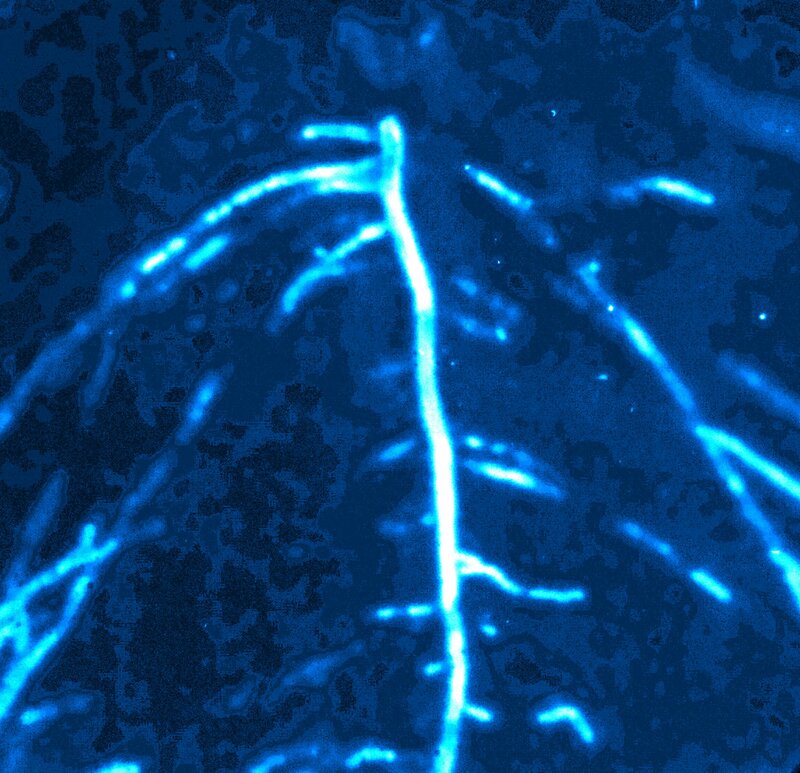 What might look like a lightning in the nocturnal sky is in fact enzyme activity along a root in soil that has been made visible with a fluorescent dye. The brighter the fluorescence, the higher the activity of the enzyme that provides the plant with phosphorus. I developed the method that made this photo possible to gain insights into processes in soil that usually stay obscure to our eyes; and I am still fascinated each time I look into the soil that is lit by a root.